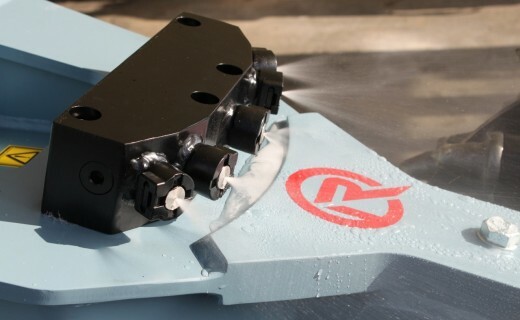 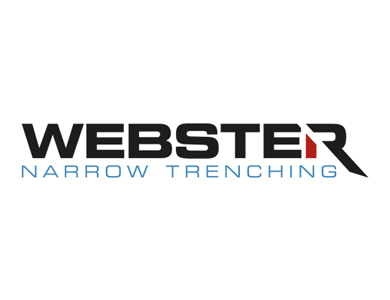 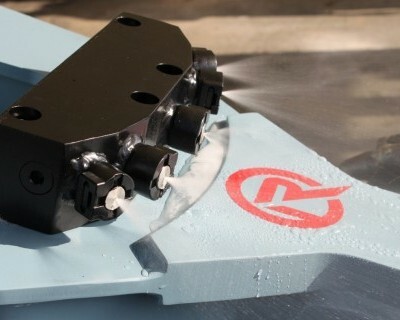 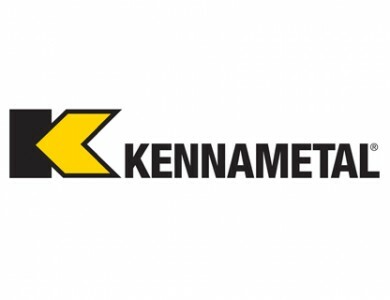 The design of the Rockwheel water spray bar is very simple, ensuring dust-free cutting work. 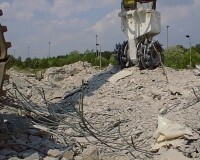 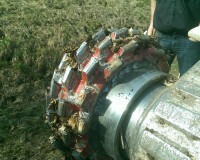 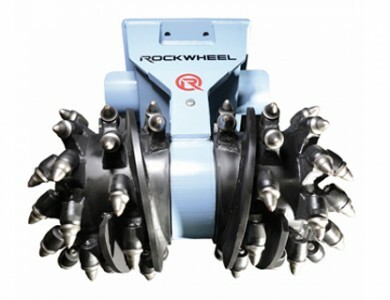 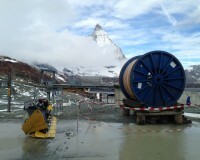 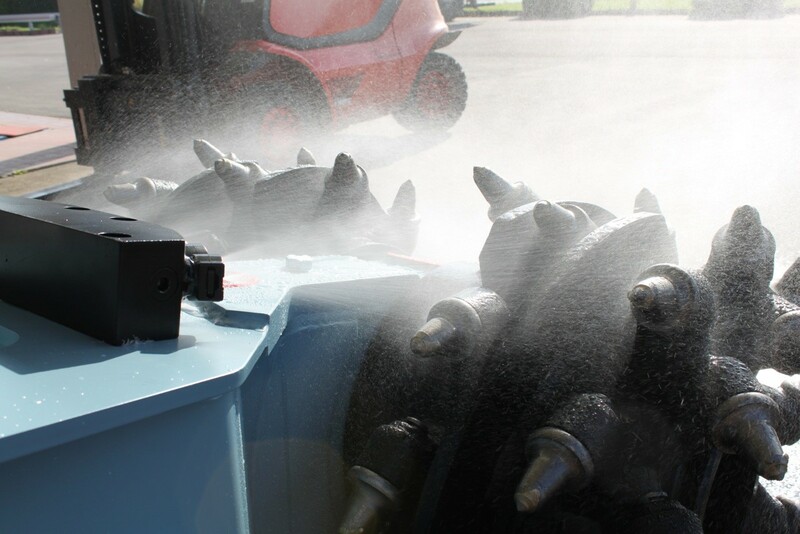 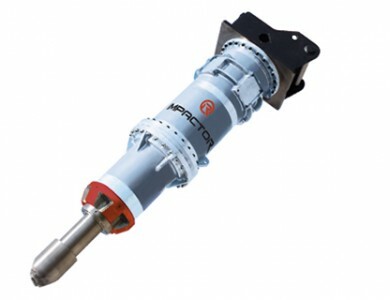 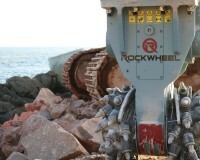 The Rockwheel spray unit needs only minimal water to bind the dust produced during cutting. 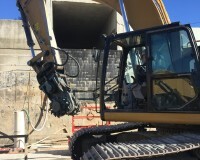 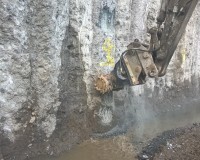 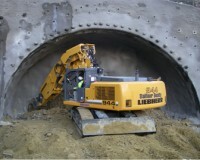 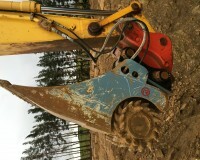 The nozzle group is fitted to the housing facing the excavator, just above the drums. 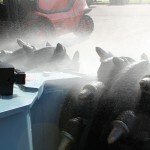 Five jets spray a fine mist of water towards the rotational movement of the heads, with the supply hoses accommodated within the cutting unit housing. 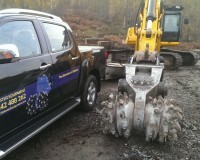 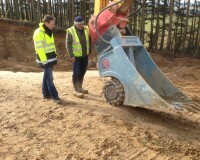 Setting up the TD140 Rockwheel in Inverness.